A list of the 10 best natural sources of calcium that don't involve drinking milk or eating meat! Full of plant-based ingredients that are high in calcium! Last week as I was catching up on email, I had a message from a reader asking me about calcium. First, I just love when you send me messages and questions, so thank you! And secondly, it made me realize this is a topic that many of you are probably curious and therefore deserved its own post. From a young age, we're taught that we need calcium for strong bones and the best way to get it is from milk. The milk boards have schools disseminate those messages and we're basically conditioned to think that's the only way we can get calcium in our diet. But that is really true? Can we only get calcium from milk? The short answer is no! There are lots of other foods that are high in calcium. And most of them are probably foods you're already eating! So in today's post, we're going to talk about some of the best plant-based and natural sources of calcium. Calcium is the most abundant mineral in the human body and also one of the most important. 98% of the calcium in our body is found in our bones and 1% in our teeth. Almost every cell in our body actually uses calcium in one way or another! Calcium helps build strong bones and teeth, and is critical in our development years. It also helps stimulate muscle contraction (i.e. your heart beat). We get calcium from the food we eat – more on that in a sec – but as we age, our calcium absorption goes down. Things like exercise and vitamin D can help our bodies absorb calcium, as well as vitamin A & C.
Whether you're trying to get more calcium into your diet or want to stop taking supplements and get the minerals from your food, hopefully, these next few foods will give you a sense of where you're already getting calcium and areas that you might be able to add more back into your diet. We're also told to eat our broccoli when we're little, right? That's because broccoli is a superpower food. 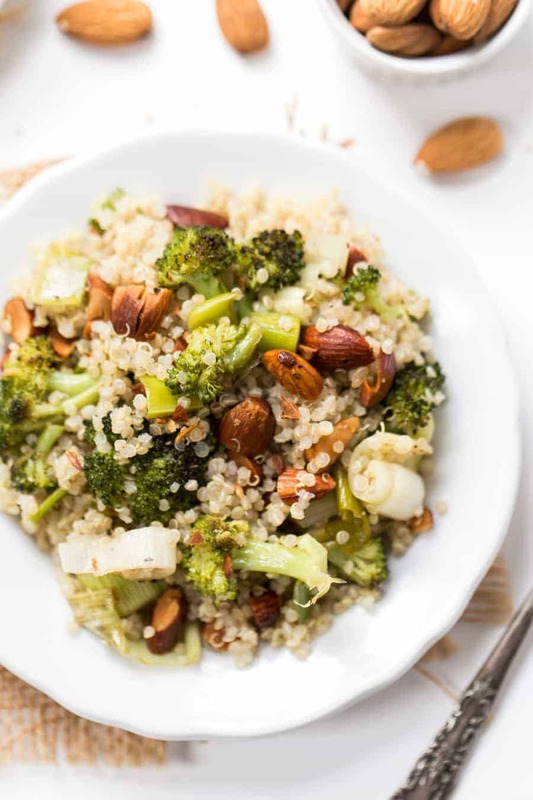 Not only is broccoli high in fiber, but it's also high in Vitamin A, C and folic acid. And yes, it's also high in calcium! Cauliflower actually has very similar nutritional values to broccoli because they're from the same family – brassica (or cruciferous). 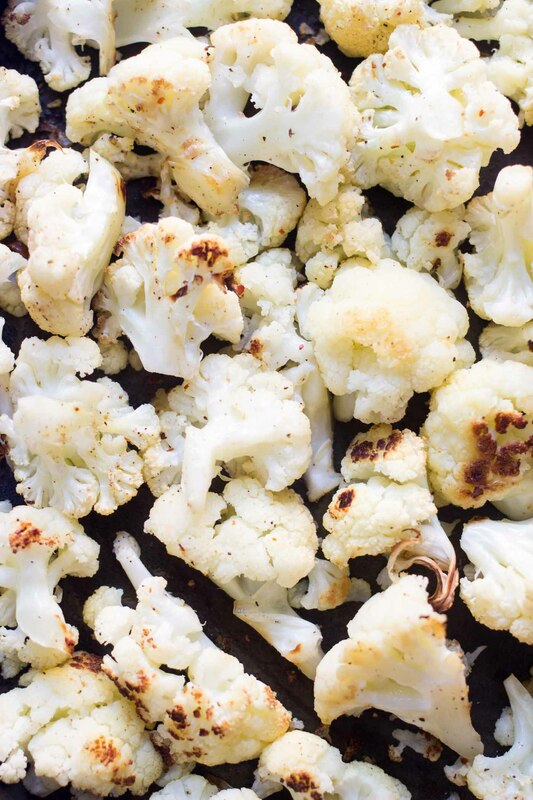 Cauliflower is high in potassium, folic acid and vitamin C, but unlike broccoli, it's low in vitamin A (because it's white and not green). Not quite as high in calcium as broccoli, but still a good source! I absolutely love green peas, especially when added into pasta! They're sweet, they're easy to make and they taste delicious. One of the things I look forward to most when summer comes. Peas are high in fiber, they're a great source of vitamin K and they also contain a good amount of manganese and phosphorus. Oh boy do I love beans! As someone who eats mostly plant-based, beans are a staple in my diet. They're high in fiber, high in protein and they're super affordable. They're also packed with other nutrients like iron, potassium, phosphorus and yep, calcium! The amount of calcium per serving changes on the type of bean, so the amount below is just a range. Almonds are probably the most frequently consumed nut. From almond milk, almond yogurts, almond flour, they're plentiful in most modern, plant-based diets. Almonds are also considered to be a cancer-preventing nut because of the high levels of laetrile. Almonds are also full of healthy fats, protein and vitamin E, the Bs and calcium. I'll admit, I don't use brazil nuts very often, but I do know they are extremely healthy. While they're one of the “fattiest” nuts out there (they're about 66% fat), brazil nuts are also rich in magnesium, manganese, copper, potassium and selenium. You can also find zin and iron in them. Sesame seeds might not be something you eat frequently on their own, but if you like tahini then you're eating sesame seeds! 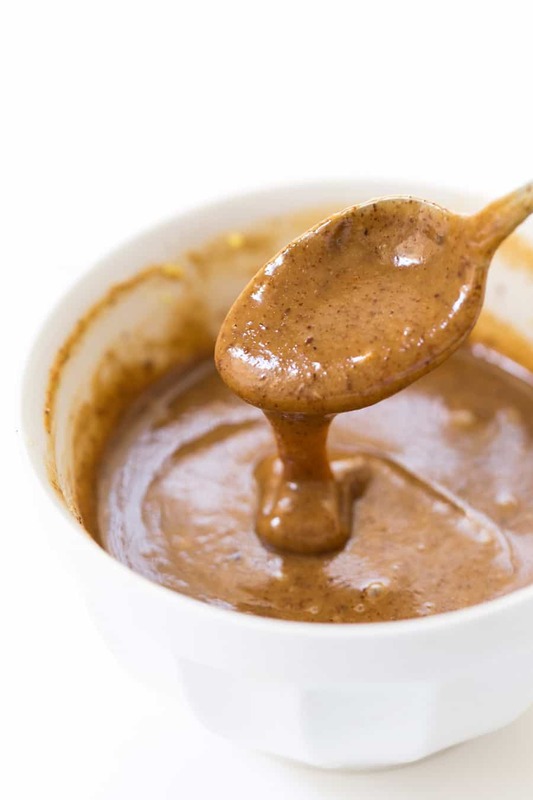 I personally use tahini at least once per day – it's one of my favorite ingredients for salad dressings and I think it just tastes amazing. Sesame seeds are one of the most nutritious seeds; they're rich in zinc, copper, magnesium, phosphorus, potassium and are one of the highest sources of calcium on our list! 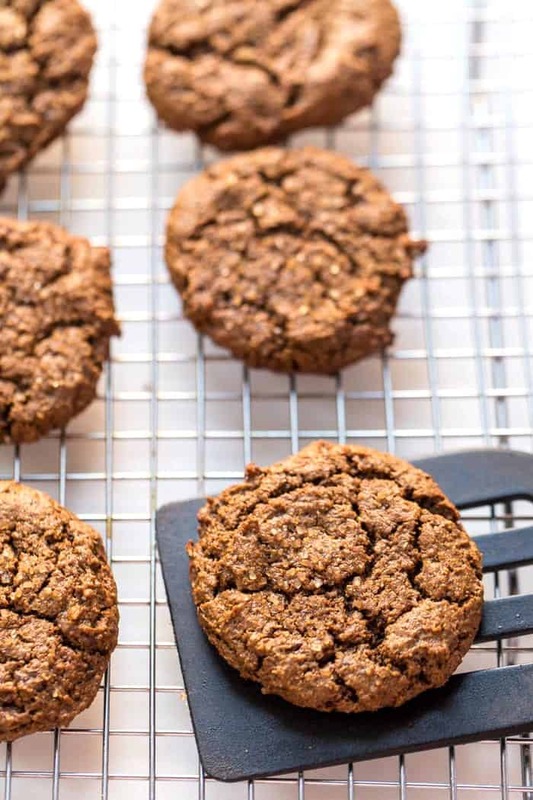 Molasses has been dubbed one of the healthiest sweeteners because it's rich in quite a few minerals. It has the lowest sugar content of any cane sugar product – it's actually the byproduct of sugar cane's refining process and thus is packed with all the nutritional benefits. Blackstrap molasses contains high amounts of iron, magnesium, vitamin B6, selenium and calcium! We know about oranges high content of vitamin C, but there also is a modest amount of calcium in oranges as well. Some orange juices on the market are even fortified with calcium. The great thing about oranges is that vitamin C is one of the vitamins that boosts the absorption of calcium! I've raved about my love for figs many times before, and this is just another reason why they're one of my favorite fruits. 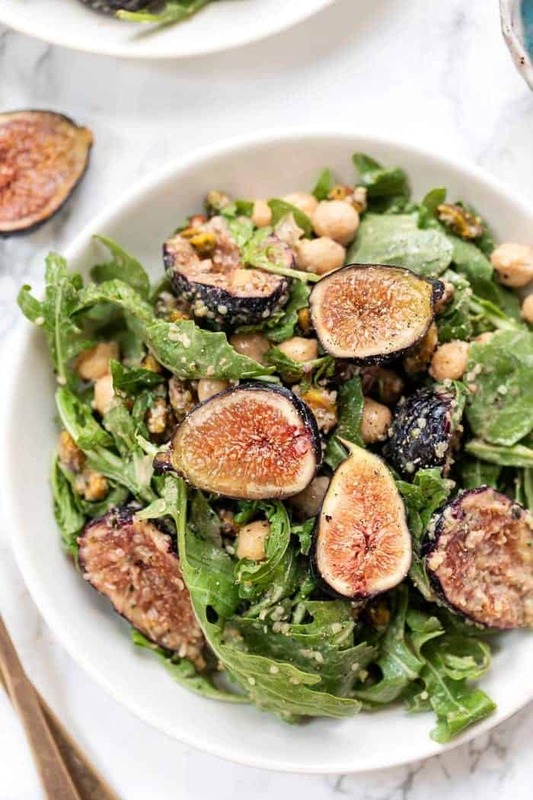 Figs are not only delicious, but they're also high in fiber, vitamin A, B1 and B2 as well as manganese, potassium and calcium! Dried figs are actually higher in calcium than fresh figs, but both are great. Now for the food! 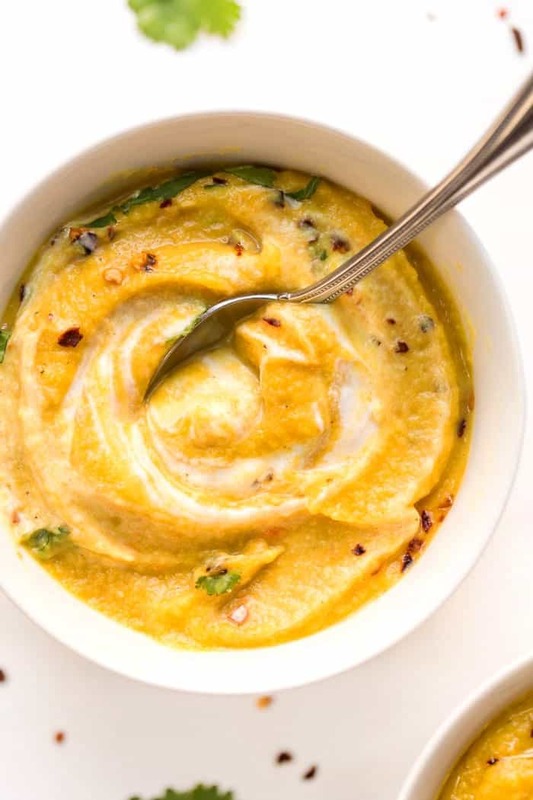 Here are some of my favorite high calcium recipes that are 100% plant-based. You can also create your own high calcium recipes by combining some of the foods we've included above! 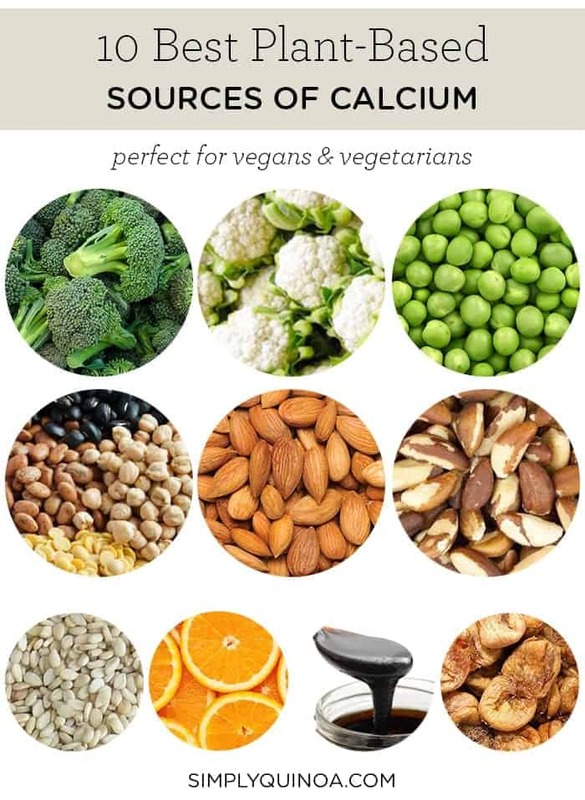 Beans, fortified non-dairy milks, tofu, Brazil nuts, almonds, leafy greens, broccoli, cauliflower, and tempeh are my favorite sources of calcium! They taste superb. Lately I have been eating beans, fortified almond milk with fortified cereal, flax seeds, spinach, and macadamia nuts every single day. Feeling ACCOMPLISHED with all the calcium-rich foods I’ve been eating, LOL!